In several high-profile meetings around the world, the Ogaden National Liberation Front (ONLF) gathered to evaluate future goals and strategies to allow for the Ogaden people to recover their rights. High profile members of the Central and the Executive committees, ONLF Bureaus Staff and the regional coordinators of Ogaden National Liberation Front (ONLF) held simultaneous meetings in January 2013 in Cape Town, South Africa; Frankfurt, Germany, and Minnesota, USA, for the purpose of evaluating the 2012 achievements, obstacles encountered and assessing the Horn of African and International developments. The Frankfurt meeting was chaired by the chairman of ONLF Adm. Mohamed Omar Osman, the Minnesota meeting was chaired by vice-chairman of ONLF Dr. Mohamed Ismail Omar and the Cap town meeting was chaired by the head of Social and Diaspora affairs of ONLF Mr. Mohamed Abdi Yassin. The ONLF conferences looked into the current situation and the genocide that is taking place in Ogaden perpetrated by TPLF regime. 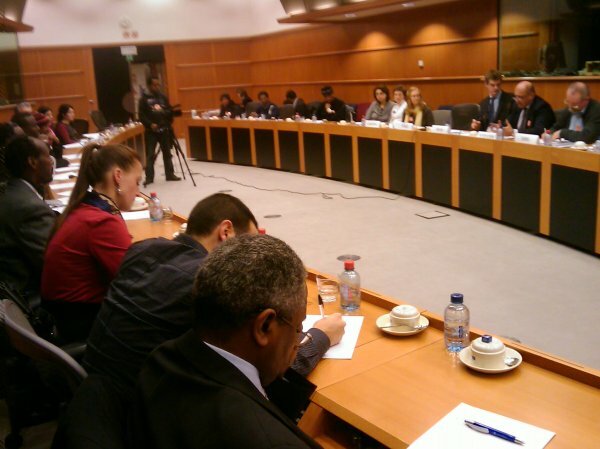 After extensive discussions the delegates acknowledged that the struggle of the Ogaden people for their rights has made significant achievements despite Ethiopian government all out attacks and violations of the political, human and rights of the Ogaden people and the silence of the international community. In addition, the conference noted that the current Ethiopian regime is an obstacle and a threat to the stability, peace and development of all the peoples and nations in the Horn of Africa and the urgent need to cooperate and thwarts the Ethiopian government evil intentions and machinations against the people of the Horn of Africa. Finally the delegates expressed their deep wrath against the callous manner in which the Ethiopian regime is violating the human, political and economic rights of the Ogaden people in violation of the UN charter, the Universal Human rights, international conventions and its own ‘laws’ and calls the international community to stop Ethiopian government attempt to annihilate the Ogaden people.